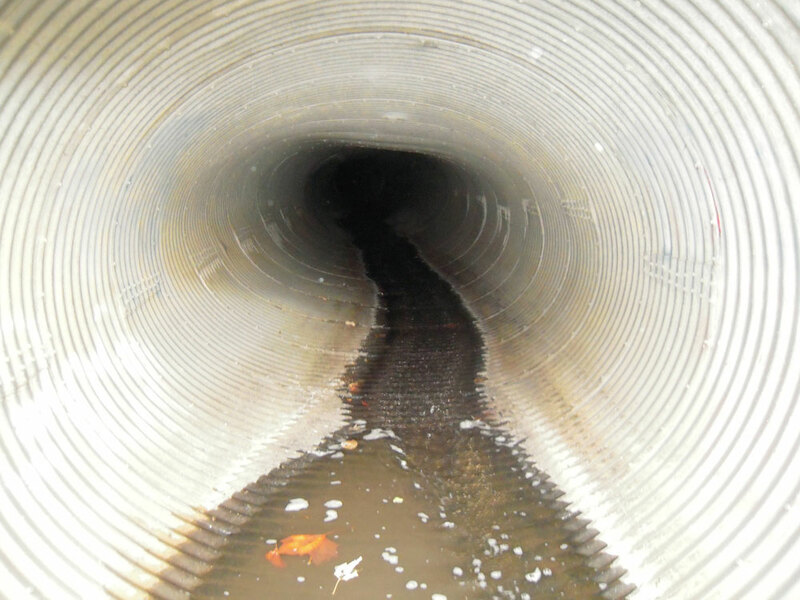 Fairmeadows Park Culvert Improvements — LT Leon Associates Inc. Flood Reduction – Flooding concerns at the road low point and upstream were improved. Stream Daylighting – The existing 450’ culvert was replaced with 250’ of new culvert and 200’ of multi-stage constructed natural channel that includes riffles, pools, and flood benches. Native Seeding – Restored the stream corridor and slopes using native seed. This provided multiple benefits: promote healthy soils, clean water and air, soil stabilization, habitat for wildlife, connect with the natural environment, and beautification. Bioswales – A 1,400 ft2 bioswale was constructed. The bioswale, a vegetated landscaping feature planted with native plugs, was constructed downstream of the parking lot and just upstream of Fairmeadows Creek to help improve water quality by slowing, collecting, infiltrating, and filtering stormwater. Riprap Compost Grouting – 575 yd2 of a fertile growth medium (compost) was placed within the voids of riprap for quick establishment of native vegetation. Soil Quality Restoration (SQR) – The process of improving soil health by reducing soil compaction and increasing organic matter which in turn improves water quality by reducing the need for watering and use of fertilizers. 2.6 acres of SQR was implemented. New Playground Areas – Two age specific-inclusive playgrounds, safety surfacing, new pedestrian walkways, and park furniture were installed.